Iasos is a very distinctive and gifted visionary musician, video artist and speaker. He has produced a number of amazing musical masterpieces that promote healing, transformation and evolution of the human soul. His music, perhaps best described as an electronic symphony, nonetheless is unique and highly original in its focus. Iasos' music sounds as if it originates from another planet, perhaps another galaxy, or maybe even, another dimension of time and space. Iasos describes himself as a "Music Creator, specializing in celestial, heavenly, inter-dimensional music." Grand, sweeping arpeggios, lilting, almost surreal melodies and otherworldly tones are generously sprinkled throughout his music like drops of fairy dust from a celestial angel. He is, by all intents and purposes, much more than a musician. He conducts seminars, concerts and special events and also produces beautiful videos in a sort of a retro-70's-meets-the-new-millenium style. He is infinitely fascinating to listen to, to watch and to enjoy. His vision and his focus is clearly Divinely inspired and after you listen to a Iasos CD or watch a Iasos video, you will be Divinely inspired as well. He may well be one of the fathers of the New Age genre having released his first recording in this vein all the way back in the year 1975. And he is still going strong! He has released twelve CD's/albums, (half of which must be special ordered through his web site, www.iasos.com), and six videos/DVD's to date. Iasos also conducts workshops and seminars throughout the country on subjects such as "Sound and Healing," "Goddess Council," "Inter-dimensional Games with Fairies and Angels," "Sound & Cosmos," and "The Mechanics of Consciousness-Reality-Creation." All-in-all, Iasos is a true artist and a lighted being. Iasos (pronounced ya' sos) was born in Greece in 1947, and his family moved to America when he was four. He began studying piano at age 8 and flute at age 10. Formal music education lasted until the end of high-school, after which he became self-taught, studying the music from around the world, especially the classical composers. In 1967, to his surprise, Iasos began spontaneously "hearing" a new type of music in his mind, which he then referred to as "paradise music". 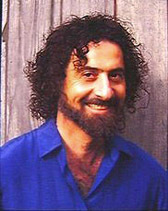 After graduating from Cornell in anthropology in 1968, Iasos decided to move to California and to dedicate his life to manifesting this "heavenly music" he was experiencing internally, since he was convinced it would have an uplifting, healing, spiritually-invigorating and harmonizing effect on many potential listeners. And that in many cases, this music would help people to connect to heavenly realms of existence. In 1975 Iasos, along with his colleague Steven Halpern, pioneered and began what is now known as "New Age music" - with both Iasos and Steven each releasing their first album at that time. In 1982 Iasos, spear-headed what has now come to be called "New Age videos" with his release of one of the very first new age videos - "Crystal Vista" - created as visualizations to his own music. "Crystal Vista" won FIRST PRIZE in "video art" in the SANTA CRUZ VIDEO FESTIVAL. "Crystal Vista" was also selected by the nation-wide CONSUMER ELECTRONICS SHOW (CES) for "outstanding original programming" and awarded Iasos a plaque for "one of the most original video tapes of the year". "Crystal Vista" is currently one of the first new age videos to also be available as a laser-video-disc. In1986 Iasos won a FIRST PLACE GRANT in "MUSIC COMPOSITION" from the MARIN ARTS COUNCIL, funded by the BUCK FOUNDATION. In 1989 the Psychology Department of Plymouth State College in New Hampshire informed Iasos that they had been doing the main research on people that have had a "near death experience". In correlating their experiences, it turned out that Iasos' music received the highest rating, by quite a margin, as being most like the heavenly music they heard while officially "dead" or out of their body! In February of 1990 Iasos was honored with the "CRYSTAL AWARD" for "artist" at the SECOND INTERNATIONAL NEW AGE MUSIC CONFERENCE , held in Hollywood. This "CRYSTAL AWARD" is given in recognition of outstanding achievements over many years within the field of "new age music". Since 1968 Iasos has remained focused and dedicated to his original intention - composing and recording his music, giving seminars, and doing multi-media concerts around the world. His music has been used by NASA, LAZARIS, ENCYCLOPEDIA BRITANNICA, LASERIUM, and HEWLETT PACKARD, as well as by numerous hospitals, health clinics, therapists, mental health clinics, and surgeons throughout the world. Music by Iasos is currently being distributed in North America, Europe, Brazil, Australia, and Japan. Iasos' international multi-media concerts have taken him from Cairo to Honolulu, and from Los Angeles to Toronto. More music CD's are available in our Miracles and Inspiration CD store.